Why would you consider working with Val for your own needs? She learned a long time ago that in order to help people’s animals, she had to be able to help their people regain balance, sanity and learn to deal better with their stress. Most of the time, whatever is wrong with our animals is coming from their human family as a reflection of their humans dis-ease, imbalances and woundings. That ledVal on a long quest, looking for answers to the human dilemma. And obviously, her methods work. There are 2 levels of consulting, therapy and healing work with humans. The first level is BodyMind Assessment and Balance. The second is Quantum Leap Consulting. Both of these processes are designed for people suffering from chronic pain or disease, trauma, behavior problems and performance issues. They are also excellent processes to help you gain clarity and improvement in every area of your life, whether you are working with health problems, feeling stuck, suffering with relationship difficulties, or you are wanting to start a new career. More than 90% of Val’s clients experience changes in 3 sessions or less. Most people choose to start with the first level of BodyMind Assessment and Balance consulting, and often achieve remarkable results fairly quickly. For those who suffer from more chronic, severe problems and/or pain, OR, they simply want to move forward in their lives much more quickly, Quantum Leap Consulting is recommended. Please review both approaches and decide which feels best to you. There are so many things that could be contributing to whatever problem(s) or issue(s) you are facing. Using these methods allows Val to be much more thorough with her clients, achieving results more quickly. Val only works with a select group of clients, who must pre-qualify by filling out either the BodyMind Balance Application or the Quantum Leap Questionnaire. Val’s services are very much in demand and her clients are booked weeks in advance. Because of this, it is important for her to determine if you and she will be a good fit for each other. You do not have to have an animal to work with Val. More than 40% of her clients do not. 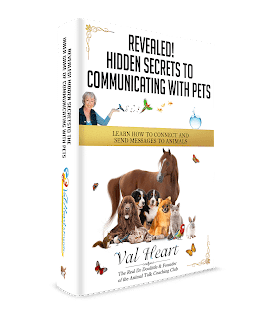 Her clients that don’t have an animal friend in their lives have found the work that they do with Val so valuable that they continue to work with Val on various life issues, such as relationships, career, performance and health. ABOUT CRISIS/EMERGENCY WORK: Because Val is booked so far in advance with a waiting list, she is unable to accept crisis or emergency work. For that reason, it is recommended that you get on her schedule as soon as possible — or, she may be able to refer you to someone else. Blog Post: Almond & Pecan Flour Are Healthy Alternatives to Wheat Flour and Tastes Better Too! Think for a moment about what flour really is. Did you ever make paper mache sculptures or pinatas as a child? Paper mache is just flour and water, mixed, applied to a wire frame with newspaper, and covered with the flour and water glue. So what is flour and water? Not bread, but GLUE! Consider instead the lovely almond. Almonds are high in protein and good fat, both of which are sorely lacking in grains. Nuts are basically a perfect food, being about 30% each protein, fat and carbohydrate. Almond flour or pecan flour can be used to make high protein pancakes and muffins that won’t make you or your kids’ blood sugar go crazy. Click to read the rest of the blog post.